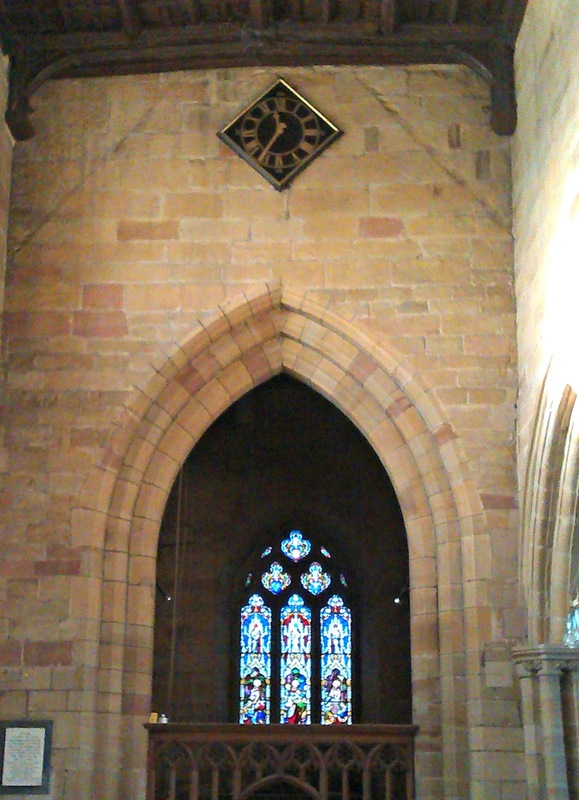 Our lovely village church, St Oswald's, was actually open for a short while this weekend. 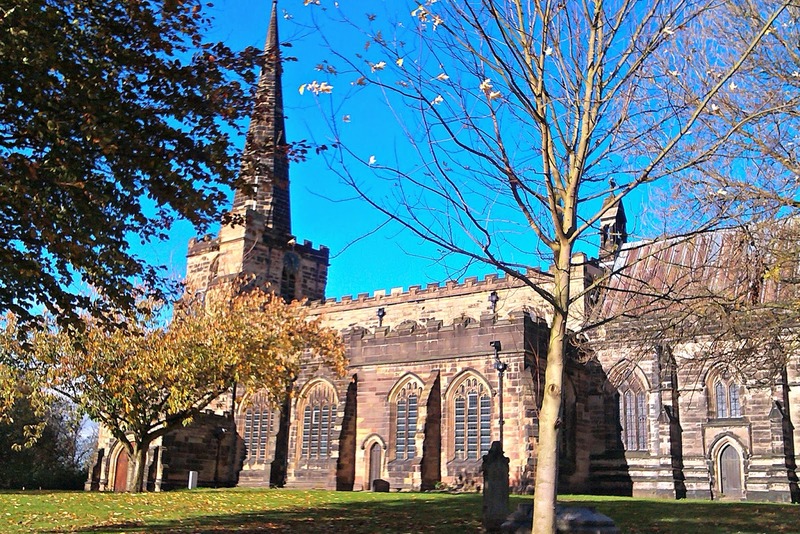 I've just realised that although I've been writing this blog for quite some time now and have been posting my Monthly Musings from the church newsletter, I've never actually shown you around our church. The church has been closed for a few years because death watch beetle was found in the wooden ceiling and investigation discovered that the ceiling itself seemed to be held up by not much more than fresh air and angels. It meant that services had to be moved to the church hall which although not quite the same, is significantly better than having pieces of ceiling drop on your head during the hymns. 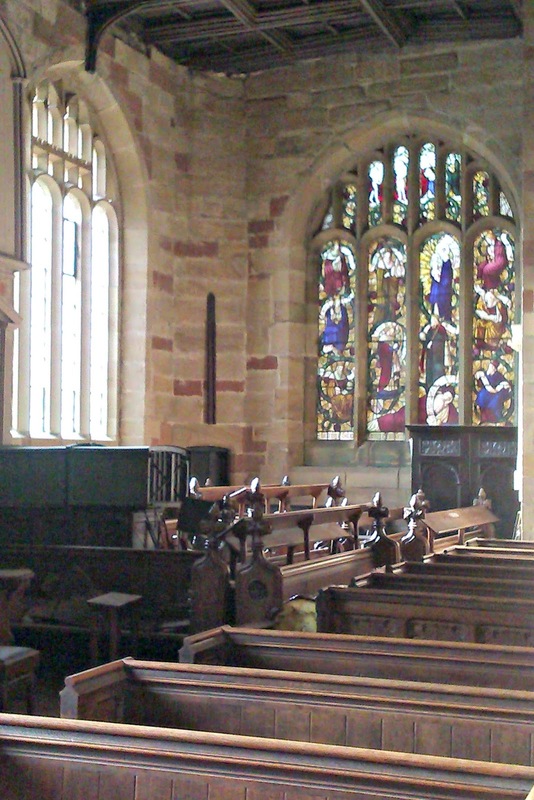 Luckily, English Heritage were able to give the church a grant towards the cost of the repairs, but the church was obliged to find the rest of the money and one of the good things that has come out of this is that the village community has pulled together to organise fundraising to replace the ceiling. There has been scaffolding and corrugated iron shuttering around the church at various times over the last few years as different parts of the restoration work were undertaken, and the most recent scaffolding was removed recently meaning that it was possible to see inside again. It was a beautiful weekend; bright blue sky and almost unseasonably warm. The sunshine makes the stone look almost golden and despite the church not having been used for a very long time, it wasn't as cold inside as you would expect. Inside, the church looks pretty much as it always did. 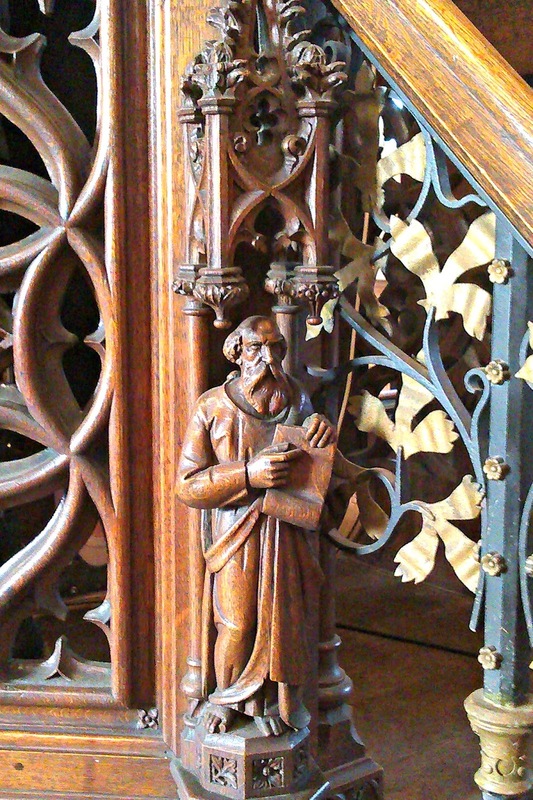 You wouldn't know that there had been any major renovation undertaken if it wasn't for the fact that the choir stalls have been stacked safely out of harm's way and various pews have been removed to allow the workmen access. 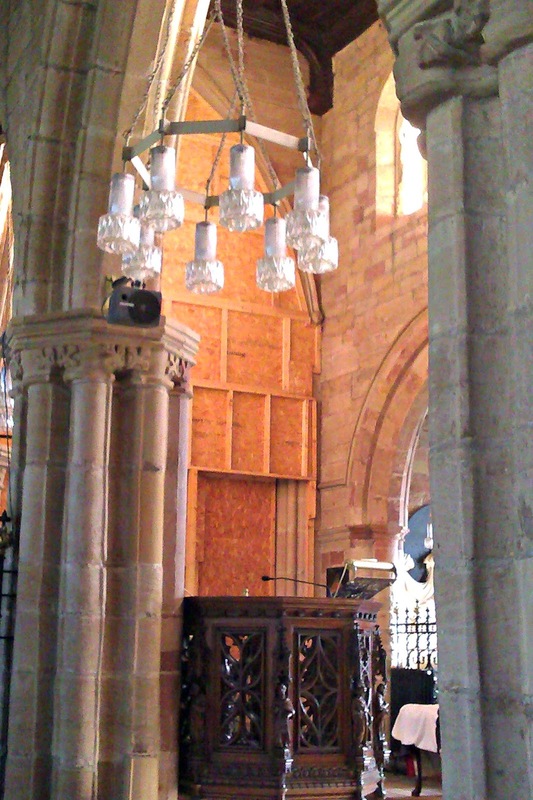 Oh, and the wooden shuttering to separate the chancel where some services are still held. It's obviously a sign of getting older (my younger self would have bored rigid visiting churches) but there's something about churches nowadays that appeals to me. I don't know if it's the shared community history - so many baptisms, marriages and funerals of so many generations - or the architecture and sometimes archaeology of the places that speak to me, but there is without question something that draws me in. 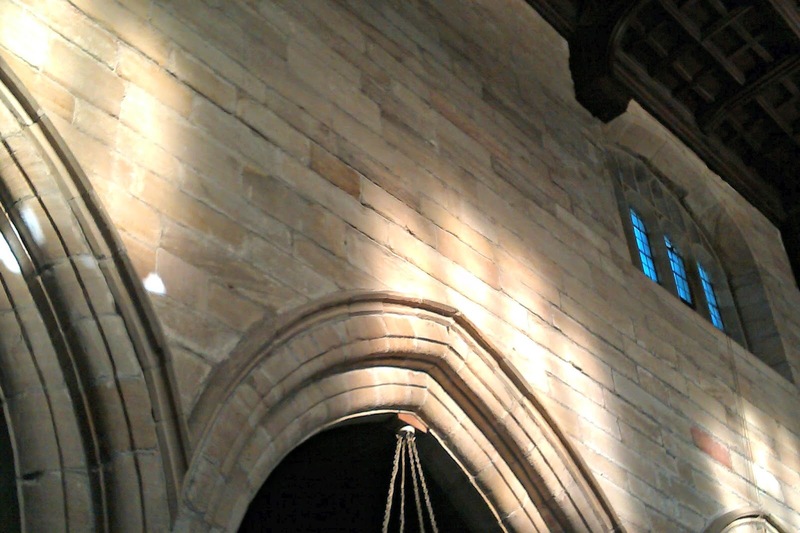 Look at the way the sun comes through the windows onto the stone. It makes me very happy to be able to be in here again; it's got such a lovely feel to the place. It's very calming and comforting to be here. There are figures just like this one all the way around it. 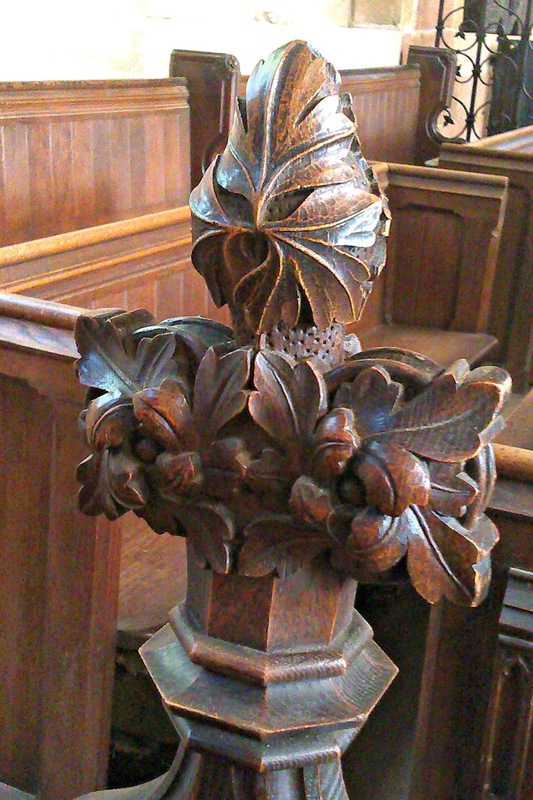 I don't know who they are or if anybody else connected with the church does either, but they were obviously important enough to be carved with a create deal of care. One of my favourite things about sculpture, whether in wood or in stone, is that way that the impression of fabric is created. 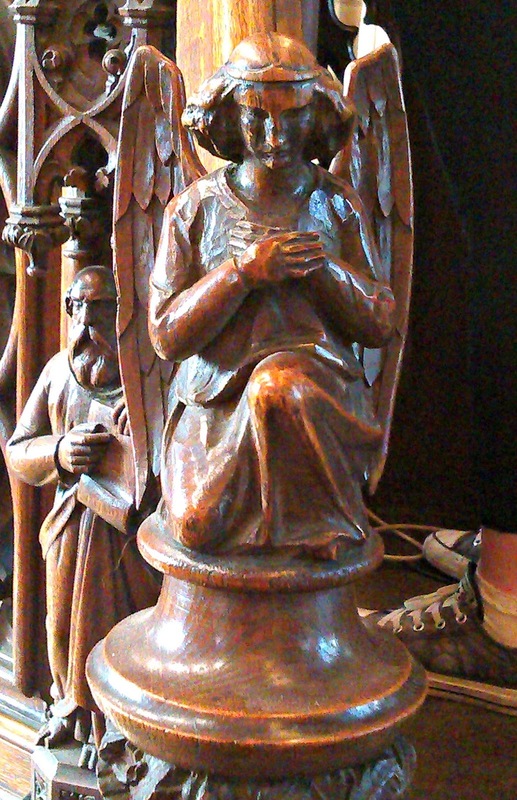 This little angel clearly has clothing on that drapes around her knees - but it is still all part of the same piece of wood and whilst logically I know that underneath the folds there aren't any knees at all, the sculptor has made me believe that there are. Beautiful! I wish I had the talent to create something like this. Here's more wood - and the cause of all the problems. It's the ceiling which was held up by not very much and now has a strong structure of steel beams behind it. Now, thanks to modern restoration techniques, you'd never know there had ever been a problem. 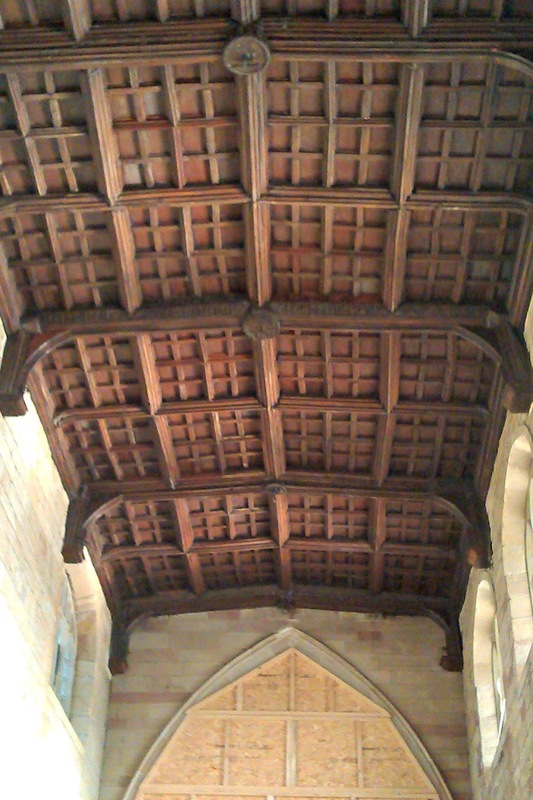 This is another view of the ceiling looking down the other end of the church towards the bell tower. If you look at the top of the picture you can see where the original pitched roof was attached. I like that the church has changed over the years; it gives it a sense of continuity, and our church has been around for centuries. 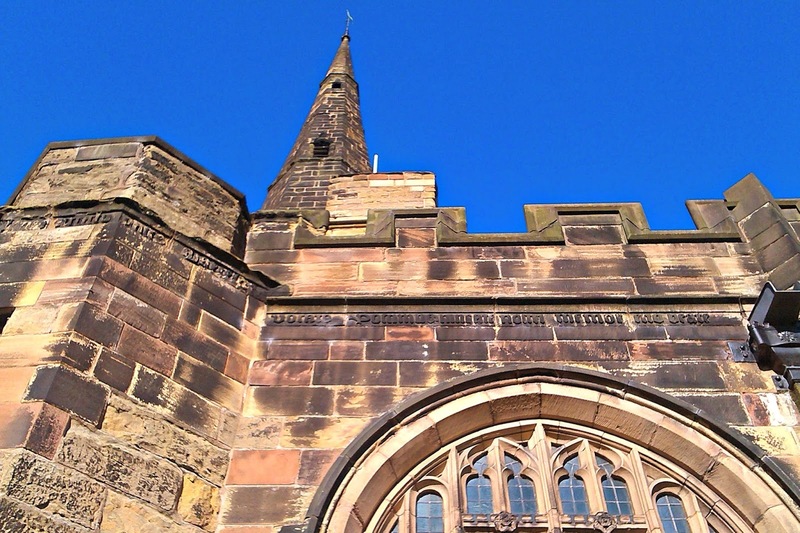 The captain of the Titanic, Edward Smith, was married here in 1887, and though that seems like a long time ago, the church stood for many years before even that date - it was mentioned in the Domesday Book (under the entry for Newton-le-Willows). Before we leave, I'd like to quickly show you one or two things outside. Like these carvings by the door. They look a little worse for wear but that's actually more down to pollution discolouration than anything else, I think. It's that same skill of turning stone to something with curves and shape. I can't resist them! And finally, our famous Winwick pig. 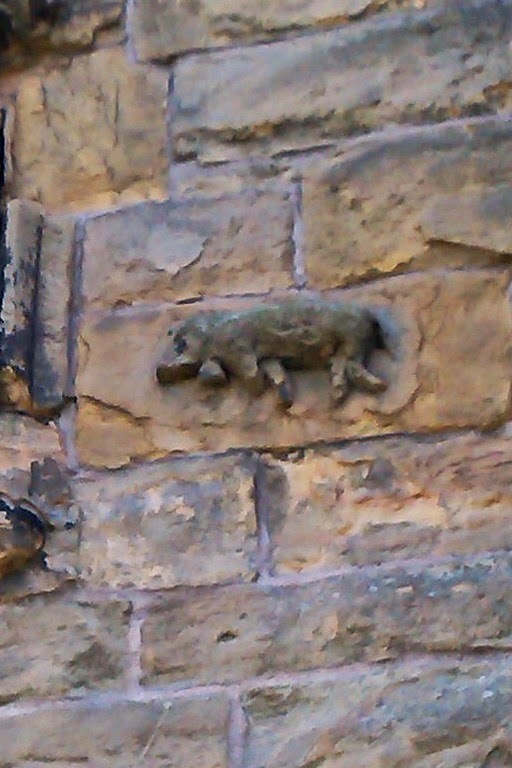 Yes, this really is a carving of a pig on the wall of our church. Local legend has it that after work had started on building the church at a different place in the village, a pig was seen at night running to where the church now stands crying "We-ee-wick" or "Win-ick" and moved the foundation stones to the new place. It seems that you don't argue with a mysterious pig that moves stones at night and the church was built on the hill where it has overlooked the village ever since. 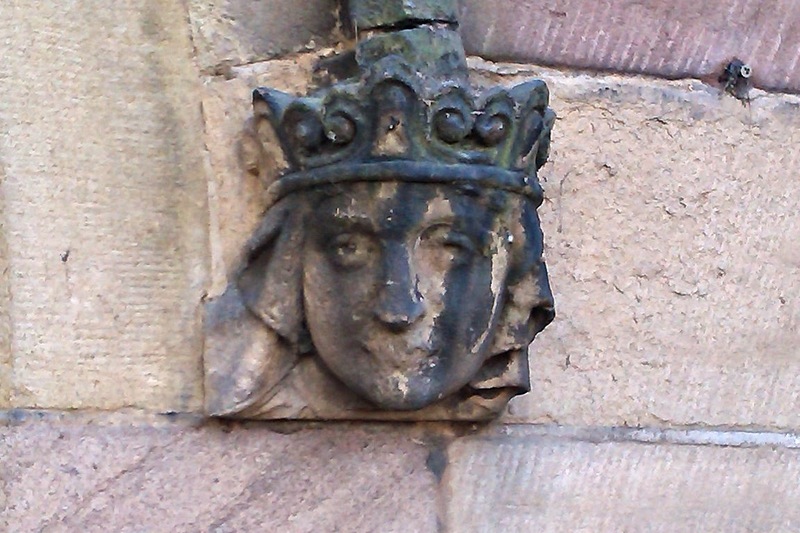 Of course, nobody now knows if this is true or not, and historical accounts of the church give an alternative theory as to why there should be a pig on the wall (see the links above), but I like the idea of a pig choosing where the church should go. Lots of churches have fantastic, possibly mythical stories associated with them, and perhaps that's part of the magic that draws me to them as well. It's time for me to head back home now. I hope you've enjoyed our brief visit and I'm sorry it's taken so long for me to bring you here - I forget that you don't see it every day as I do! We'll come back another day, if you like, when the church is officially re-opened. Until then, the doors are safely locked again whilst the work continues to keep St Oswald's in one piece for future generations. Not long to go now. I love the pig! Stories like this need to be kept and repeated for the next generation. A fantastic little piece of history. 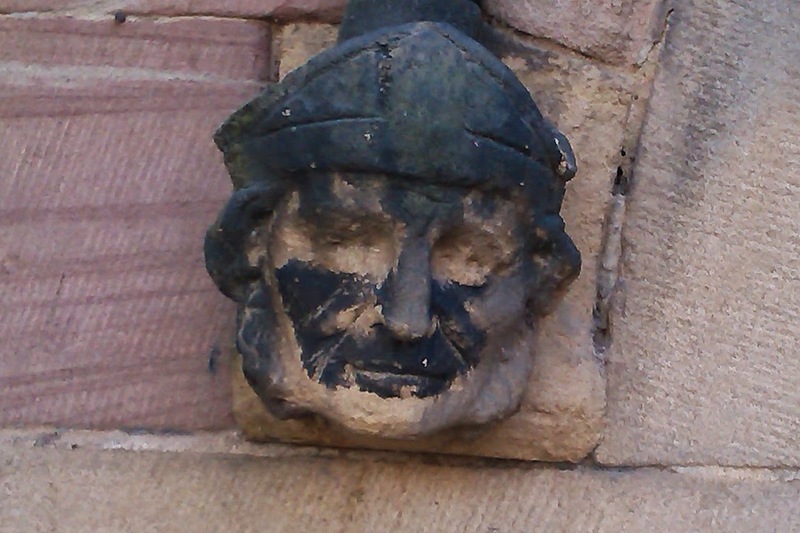 I've never been in Winwick Church although been mooching around the outside many times. I'll keep my eyes open for when it does open as it looks beautiful. Well done to everyone who has helped make it possible. Did the official re-opening happen yet? Any chance you might take us on another visit? I should particularly appreciate seeing a clear photograph of the inscription at the foot of the memorial brass in the floor of the Gerard Chapel if possible - those online are somewhat indistinct and I cannot quite make out the year of death. Is it possible for members of the general public to visit? The renovations are still taking place, Anthony - the church was open for a while for services and is closed again now until next year - it's been a huge job. However, it may still be possible for you to visit if you call our Rector, Canon June Steventon. Her number is 01925 632760.